Many people undoubtedly have found it strange how much history has been in the news lately. Whether it is the Confederate monuments being taken down in New Orleans or the fact that Frederick Douglass and Andrew Jackson were trending on Twitter recently, historical topics are hot right now. But truthfully, Americans have always been contentious about our history, since our history is…well…contentious. Topics like the Civil War or Jackson’s role in ‘The Trail of Tears’ will spark lively, sometimes angry, disagreement. However, there are certain historical events that mainstream Americans generally agree upon. One such non-contentious event is the Holocaust. The American public, pop-culture and politicians for the last 40 years have universally depicted the Holocaust as THE horrific event of modern times. Case closed. No discussion needed. For 20th century Americans, Nazi Germany has been the quintessential ‘bad guy’ of history. We have taken this so far that the era of the Holocaust and the event itself is in danger of being portrayed in simplistic political bromides. It is easy, if no less true and unthinking, to state that Nazi Germany and Hitler were irredeemably evil. The murder of Europe’s Jews was Nazi Germany’s most horrendous crime. Who would argue with that? This is why the last four months have been so disturbing. Since taking power in January, the Trump Administration has had not one…but TWO ‘Holocaust’ controversies. First, there was the strange, and evidently intentional, Holocaust Remembrance Day statement issued by President Trump which did not specify Nazi Germany’s specific war on European Jewry. Then, in April, Press Secretary Sean Spicer stuck his foot in his mouth by claiming that Hitler ‘didn’t even gas his own people’, unlike Syrian President al-Assad. After immediately being called on this outrageously false statement, Spicer sounded even more like an idiot when he referred (I assume) to extermination camps as ‘Holocaust centers’. What is going on? Some, like Holocaust historian and famous scholar of Holocaust denial Debra Lipstadt felt that the Trump White House’s Holocaust Remembrance Day statement was a classic case of ‘soft denialism’. On the other hand, most commentators believed that Spicer’s slip-ups simply pointed to incredible historical ignorance. However, such ignorance and ‘soft denialism’ are not mutually exclusive. Whether or not Lipstadt is correct in her assessment of Trump’s statement, such ‘denialism’ does exist in certain corners, and it will become easier to peddle to the general public as their inevitable ignorance of the past created by passing time increases. ‘Never forget’ can easily become an unthinking slogan, but that makes it no less true. So, with these notions in mind, I feel it is important to provide a quick reading list of books all Americans should read about the Holocaust. 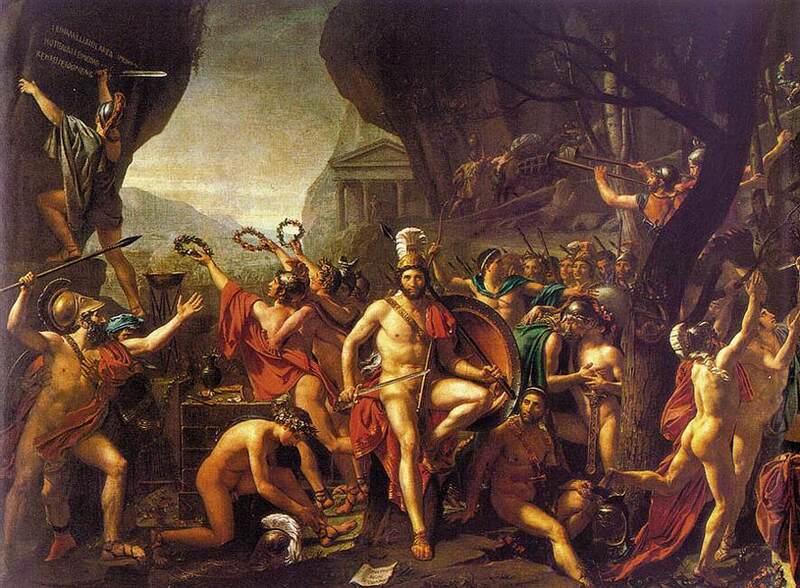 These are 15 works that any one with a passing interest in the topic can pick and read today. Saul Friedländer, Nazi Germany and the Jews: Volume 1 and The Years of Persecution and Volume 2, The Years of Extermination. Friedländer’s highly readable classic account. A great place to start for a thorough overview. Ian Kershaw, Hitler: 1889-1936, Hubris and Hitler: 1936-1945, Nemesis. Kershaw’s massive two part biography is still generally considered to be the definitive explanation of Hitler’s life and worldview. Christopher Browning, Ordinary Men: Reserve Police Battalion 101 and the Final Solution in Poland. Though 30 years old at this point, still a groundbreaking take on why people commit ‘evil’ acts. Gitta Sereny, Into That Darkness: An Examination of Conscience. Sereny was a journalist who had the opportunity to interview Franz Stangl, the Commandant of Treblinka. Her book investigating the man is fascinatingly horrible. Wendy Lower, Hitler’s Furies: German Women in the Nazi Killing Fields. A recent book that sheds light on a topic ignored by many previous historians: Women’s role in genocide. Primo Levi, Survival at Auschwitz and The Drowned and the Saved. An Italian Jew, Levi survived the war and produced some of the most important writings of the 20th century. Viktor Klemperer, I Will Bear Witness, 2 Volumes. Klemperer was a German Jew who chronicled life in Nazi Germany from the beginning of 1933 until the end of the war. The amazing story of his survival will make you forget the 1000 pages. Art Spiegelman, The Complete Maus. I wrote a blog about this work a couple years ago. It is a graphic novel, and though that may seem like a strange genre for a Holocaust memoir, I believe it is required reading. Nikolaus Wachsmann, KL: A History of the Nazi Concentration Camps. If you are looking to find out about the horror, structure and ubiquity of the Nazi camps, this is the new definitive text. Deborah Lipstadt, The Eichmann Trial. Though Hannah Arendt’s classic Eichmann in Jerusalem is still important on a philosophical level, Lipstadt deals with the true history of the trial. She also illustrates a historically accepted truth that Arendt missed. Eichmann was not really banal, but he was evil. Daniel Mendolsohn, The Lost: A Search for Six of Six Million. Mendolsohn is a famous literary critic. In The Lost, he provides a touching, beautiful memoir of discovering his family’s Holocaust past. Rich Cohen, The Avengers: A Jewish War Story. The story of Jewish resistance to Nazi crimes is still one not often told. Cohen’s narrative tells the story of his grandmother who fought alongside Abba Kovner, the most famous Jewish partisan during the war. Claude Lanzmann, Shoah. Technically, this is not a book. But, it is a text. Shoah is Lanzmann’s 8 hour film masterpiece. Filmed in the early 1980s, Lanzmann interviewed victims, perpetrators and collaborators. Most of the interviews are emotionally wrenching. It may take you a couple days to get through. Thomas Kühne, Genocide and Belonging: Hitler’s Community, 1918-1945. This is the one specifically scholarly monograph I am adding to this list. After reading and watching all of the above, tackle this one. These books are accessible. They are readable. But they are not going to be ‘fun’. They can hit you in the gut, and leave you staggered. That is what makes them all the more necessary. Teaching a course on the Holocaust is challenging. What should be the goal of the course: To explain why the event occurred, or how it transpired? What should the course focus upon most: The perpetrators of the crime, or the victims of the massacres? How should we remember the legacy of the nightmare: As a unique moment in history, or simply another horrendous chapter in the unending book of human cruelty? As an instructor, I have other, more personal hurdles as well. I naturally attempt to use humor, and irony to make points in my courses. 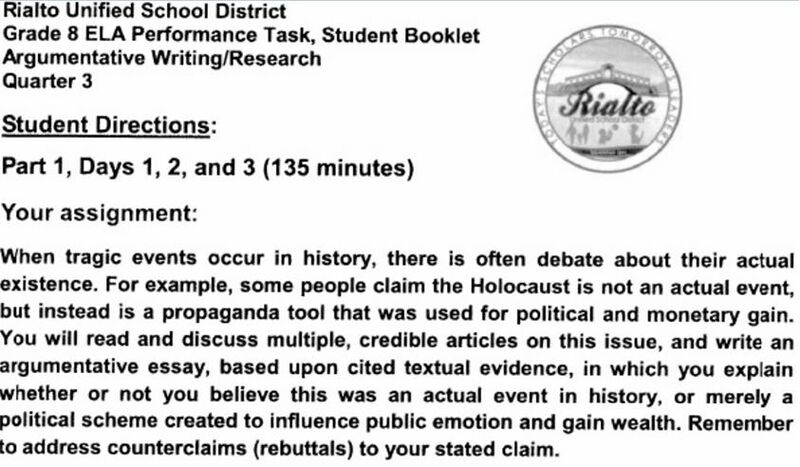 This is not possible when analyzing Auschwitz-Birkenau. As I have mentioned in previous posts, I attempt to use images and video as learning tools. There is no shortage of documented images from the Shoah, but where do you draw the line between necessary illumination of horror, and macabre voyeurism? These are difficult questions I face every Tuesday and Thursday at 10AM. But, this quarter I am finding that I have a new, more disturbing challenge. During the last couple weeks, I have come to realize that I was using the language of Nazism to explain the historical context of the genocide. I know this sounds….not good, so let me explain. When investigating the Nuremberg Laws, Kristallnacht, and Nazi propaganda, I must analyze Nazi ideology with my students. They must understand that the Nazi weltschauung was Manichean in nature. Good vs. Evil, right vs. wrong, light vs. dark. Hitler and the Nazis understood humanity and individual identities utilizing such antithetical notions. Supposed racial essence, most obviously the difference between Jews and Aryans, was all important. During 1933-1939, the period that Saul Friedländer has termed the ‘Years of Persecution’, Hitler and his Nazi movement regularized such ideas throughout German society. The Nazi’s initial end during these early years was not to annihilate the Jewish people, but to destroy the Jewish community within the German homeland. 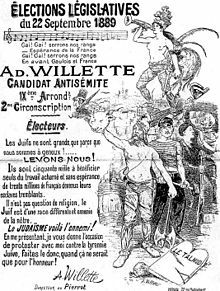 German Jews were to subjugated and relegated to secondary status, with the hope that the community would disintegrate through emigration. Thus, the Nazi state constantly and ubiquitously portrayed an ineffable and unbridgeable gap between the true German, the ‘Aryan’, and the parasitic outsider, ‘the Jew’. 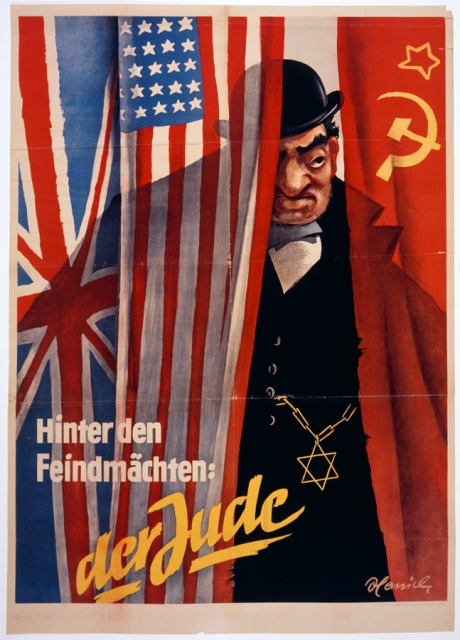 This portrayal of complete difference allowed the ‘German Aryan’ to feel superior to his German Jewish neighbor, and have no problem with any legal discrimination against the latter that was passed. This was incredibly, and horrendously effective. The success of Hitler and the Nazis in this realm can be seen in the fact that my students are surprised that many German Jews felt they were Germans first, and Jews second. In 1933, there were only about 500,000 German Jews living within the Reich, and a great number of these men, women and children constructed their personal identity upon national, not religious or racial, terms. German Jews were proud of German influence in world affairs, in German technology, German education, and, most particularly, in German high culture. Just like non-Jewish Germans, they lionized Beethoven, Kant, Goethe. In fact, a good number of German Jews were disgusted by what they understood as Hitler’s theft of the German cultural heritage, since they believed Hitler was wholly antithetical to this legacy. 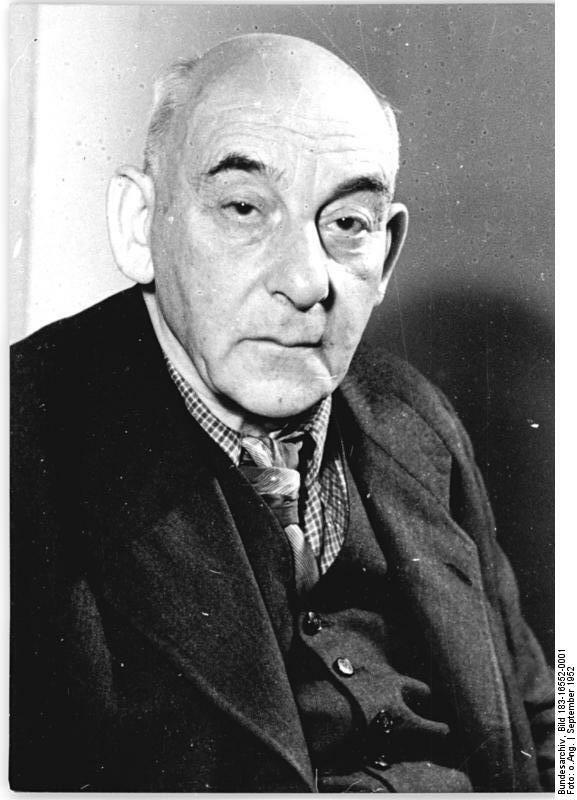 For instance, Victor Klemperer, a German First World War veteran, diarist, and German Jew, viewed the Nazi movement, and Hitler in particular, as a horrendous befouling of the German Kultur and Bildung that he loved so much. Hitler and his Nazi thugs smeared the true Germany that so many German Jews adored. This brings me back to my newest challenge. I understand the complexity of German Jewish identity, the stealing of Germanness from the nation’s Jews, and yet, I find myself linguistically differentiating Jews and Germans in my lectures. As I explain Nazi methods and ideas, I inadvertently, yet unthinkingly, fall into the Nazi usage of antithetical identity language. Looking at German history during the Hitler years causes me to separate ‘Jews’ from ‘Germans’, in an absolute, essentialist manner. I inform my students that ‘Jews’ and not ‘Germans’ were most effected by the Nuremberg laws. I explain to them that the ‘Jews’ and not ‘Germans’ faced persecution on Kristallnacht. I illustrate that it was the Jews and not ‘Germans’ who were transported to Auschwitz-Birkanau, Treblinka, and Belzec. 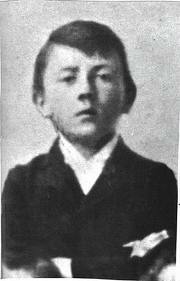 In this, I teach the fallacy that Jews were not Germans, and Germans were not Jews. I nauseously realized that I may be providing Hitler with a posthumous victory. No matter what we would like to believe, we are all prejudiced. That term has an ugly connotation in the twenty-first century. Prejudice automatically gets associated with the prejudgment of a set of people based upon such social constructs as race, gender, or sexual orientation. In reality, this is just one kind of prejudice, though admittedly the most infamous. Humans prejudge things all the time, and I am a human. I have never tasted insects, and there are many people living in the world who love to eat them, but I have made an uninformed prejudgment that I would not like them. This is prejudice. Though I try not to prejudge people, I have no problem prejudging cultural matters. I will avoid television’s latest extreme reality talent show extravaganza like the plague; instead I will watch some PBS programming. Superhero movies? No thanks. I will spend my two hours enjoying a nice documentary. And, if I won’t waste two hours on a movie that doesn’t live up to my snobby standards, I most definitely will not be spending a day reading a book that I believe will not expand my intellectual horizons. Here is where my cultural prejudices reach a climax. I prejudge romance novels, crime stories, adolescent literature, and many other forms of writing that I believe would not be worth my while. Not surprisingly, this feeling of inexperienced distaste colored my opinion of that seemingly most pop culture of genres; ‘graphic novels’. I will admit it; when I thought of graphic novels, I thought of comic book conventions. I thought of super-hero fans meeting at the local Radisson. I thought of teenagers who are obsessed with Japanese style anime or manga due to the works’ infamous graphic violence and sexuality. I can now admit that I was wrong. My prejudice was ignorance. It was misplaced. What disabused me of my prejudice was reading a book of amazing historical significance: Art Spiegelman’s groundbreaking work, Maus. Maus is a bit difficult to describe. In the late 1970’s and early 1980’s, Spiegelman began to record conversations he had with his father about the latter’s days in 1930’s Poland, and his experiences during the Holocaust as a Polish Jew. From these interactions, Spiegelman produced a unique memoir. He wrote the chronicle as a ‘comic book’/graphic novel. The book revolves around the elder Spiegelman’s memories, but also the difficult relationship between a father that survived Auschwitz, and a son who grew up in 1950’s and 60’s America. To make things even more revolutionary, in true comic fashion, Spiegelman depicted the Jewish victims of the story as humanized mice and the Nazis as humanized cats. 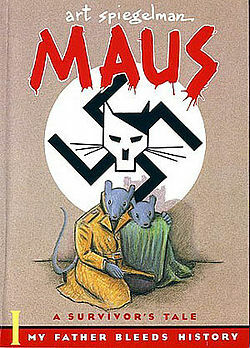 If you have never heard of Maus, your reaction to my description may be a bit dubious. This is how I felt before I read the work. At best, I believed that this ‘comic’ strip adaptation of the Holocaust would be ineffective. At worst, I was worried that the aesthetics of the work would simplify and trivialize the central event of the twentieth century. What concerned me about a comic book adaptation of history is what concerns me about Hollywood depictions of history. A ‘bad’ movie that covers a historical theme does more harm than good. Hollywood creates a dualistic history of good vs. evil in order to speak to an audience’s perceived desire for massive problems easily solved. This is how I prejudged Maus, but I was looking only at the negative. If a poorly made film can trivialize history, a powerful movie can make history come to life much more effectively than written accounts. Maus has the same capability. It has the visual power of an incredibly well done film, but the depth of a 300 page written work. Reading this book makes the reader FEEL history; the pain of humanity. Humans are incredibly empathic, and a visual work such as Maus grabs our emotions. It plays with them and destroys them. It does this even though it depicts the Holocaust using animal characters to relay human history. Representing people as mice and cats is actually incredibly effective. When Spiegelman portrays dead mice in the crematoria, you feel physically sickened. The artwork oozes sadness, despair, pity, anger, hatred. This is possible because humans have an incredible ability to see humanity everywhere. We see faces in the most mundane, least human artifacts. If you doubt this, Google ‘celebrity faces in food.” The ability to see human faces in non-living objects or non-human life forms is known as pareidolia, and we all do it. Because of this, Spiegelman’s mice quickly transform to humans; his mouse tale becomes a tale of humanity. A work like Maus shatters genre as it shatters your understanding of an event. Reading it changed the way that I view ‘comics’ and the possibilities that exist therein. As soon as I finished Spiegelman’s work, I began the lookout for other well-made graphic novels dealing with historical events. My prejudice has been destroyed, and I am better off for it. I do still hate American Idol though; with extreme prejudice.